That branding idea was formed by the resort in 2004 and advertised heavily. But to Pinchbeck, it never really sang true. Perhaps because Blue Mountain had tried to include too many voices in the conception of the brand, or perhaps because the resort was shifting away from a focus on winter sports to more of a four-seasons adventure experience. “Bit by bit the brand became watered down or altered,” he says. 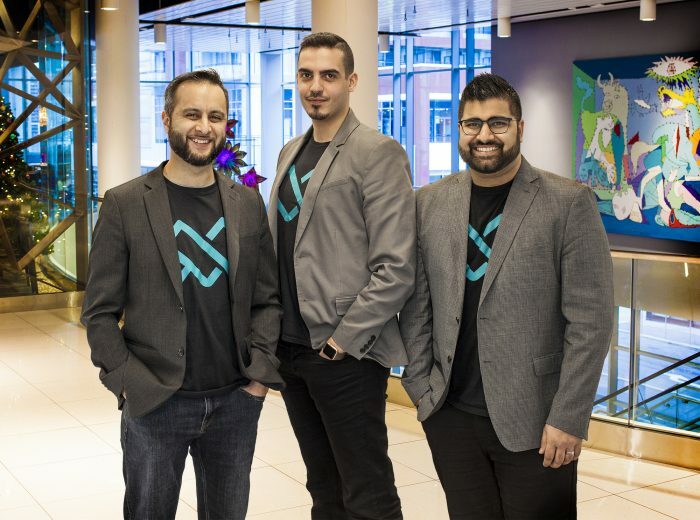 So Pinchbeck and Blue Mountain turned to a Toronto-based startup marketing firm currently housed in the MaRS incubation centre. 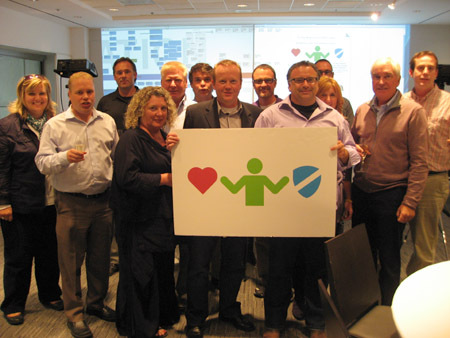 Distility offers businesses a one-day exercise using interactive technology to collaborate across a focus group that represents a cross-section of the company’s stakeholders. At the end of the day-long session, an action plan that synthesizes the brand message into a single sheet is automatically e-mailed out to all the workgroup participants. Axle Davids ran what he describes as a “traditional marketing agency” until he turned 41 and started Distility to formulate a lightning-speed workflow that would distill a company’s brand strategy in one day. While marketing communications have changed drastically over the last five years, the CEO says, brand strategy hasn’t kept up to the new real-time reality of communications in the digital age. “Having been through the experience of a multi-month process just to end up with something not very palatable to us, Axle’s brand in a day was very much appealing,” Pinchbeck says. Blue Mountain Resort staff celebrate the end of their day-long branding exercise. Distility is an effort to concisely reduce the branding process to a product package, Davids says. So his one-day workshops lean on collaborative technology to help speed the process along. When participants show up to the workshop in the morning they are each armed with iPads that access a Web-based software that allows them to assemble images, diagrams, and words on a blank canvas. Instead of what Davids calls “airy-fairy” trust exercises to warm up the group, he cuts to the chase and has the individuals use the iPad to tell a story about their brand. A projected, giant work wall in front of the group shows the time table for the day and all the exercises ahead of the group. The far-right side shows a one-page brand strategy that contains three sections: promise, position and personality. That’s the end goal, and to the left is the chart of how to get there. Before the workshop ever begins, choosing the right people at the organization is a critical step, Davids says. One that Blue Mountain got right by including management, marketers, and front line workers such as lift operators. Even the chairman of the board was there, Pinchbeck says, for a total of 13 in the group. Using technology to collaborate proved to be an equalizing force for communication in the group, despite varying ranks. The iPad software, sitting on Amazon’s EC2 platform, allows group participants to vote on what ideas are most representative of the brand, and take surveys to see where common ideas can be found. That meant “there wasn’t one loud voice in the room that’s going to sway the results,” Pinchbeck says. Using a patent-pending method to visualize the collective opinion of the group, the group pares back the brand’s personality traits to just eight. The projected wall software includes virtual post-it notes to attach new thoughts to existing ideas, and virtual cut-out hearts to show a vote of confidence in an idea. Distility’s workshops are offered in two packages, one for up to six people for $14,500 and the other for between seven and 12 participants for $21,500. It’s well worth it for Pinchbeck, who’d recommend the service to other businesses. At the end of the work shop, Distility’s system automatically e-mails everyone in the group the one-page summary of the new brand. Davids is working on making the workshop compatible with smartphones, and wants to pursue a self-service option for customers. Distility put its product in a metaphorical box, and will offer training and certification for the program online. “Our vision is to make this a product that other marketing and communication agencies can licence,” he says. For Pinchbeck, Blue Mountain’s vision of being an all-seasons adventure destination is a little bit closer. The new branding will launch full steam ahead this summer.